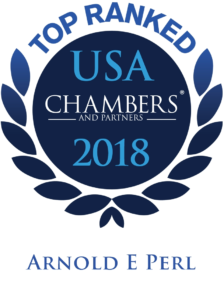 Arnold E. Perl has more than forty (40) years of experience in assisting organizations in labor and employment law, with extensive experience counseling organizations on positive employee relations. He offers a dynamic leadership development program for all levels of management. Mr. Perl co-authored Simple Solutions with Tom Schmitt from FedEx, published in 2006 by John Wiley & Sons, Inc. The book presents tried-and-true tactics and leadership models and explains how complex problems can be broken down into simple solutions, harnessing the power of passion and simplicity to get results. 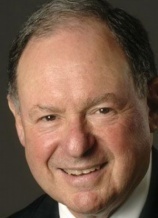 Mr. Perl is Past Chairman of the Memphis-Shelby County Airport Authority and served as Chairman for sixteen (16) years. He is also past General Counsel of the Tennessee Chamber of Commerce & Industry as well as Secretary and General Counsel of the Greater Memphis Regional Chamber. Mr. Perl served as the Chairman of the New Arena Public Building Authority, which built the FedEx Forum on-time and in-budget. Frequently quoted by the nation’s top media, Mr. Perl’s remarks have appeared in The Wall Street Journal, USA Today, New York Times, Chicago Tribune, LA Times, as well as Employment Law 360, Workforce Development Magazine, BNA Daily Labor Report and Automotive News. Successful argument before the United States Court of Appeals for the Eighth Circuit in reversing a jury award of a six figure punitive damage award in a sexual harassment discrimination case. Successful arguments before the U. S. Court of Appeals for the District of Columbia which denied enforcement of Bargaining Orders issued by the National Labor Relations Board. Part of a team that successfully represented an international client in a multifaceted electronic theft/trade secret matter. Representated of Tennessee Chamber of Commerce & Industry before the National Labor Relations Board’s Hearings on proposed rule changes to conduct of representation elections.